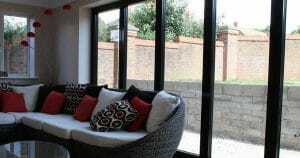 CSM North East will beat any quote for bi-folding doors installation by 5%. Providing the quote is like-for-like, we’ll beat it by 5%. We’re one of the highest rated from verified reviews and excellence is our guarantee. Endorsed by Checkatrade & Which? Rated 9.7/10 from verified customers on Checkatrade as well as 4.8/5 on Which? Trusted Traders. Our team of employed tradesmen will have the job done in a couple of days. Full turnaround can vary but disruption your home is minimal. All products come with an insurance backed guarantee from Home Pro insurance. You can be sure your newly fitted uPVC roofline will last. Offering great flexibility and choice, our bi-folding aluminium doors are available in a choice of standard or non-standard colours, including metallic, wood-structure, dual colour and a range of textured finishes. 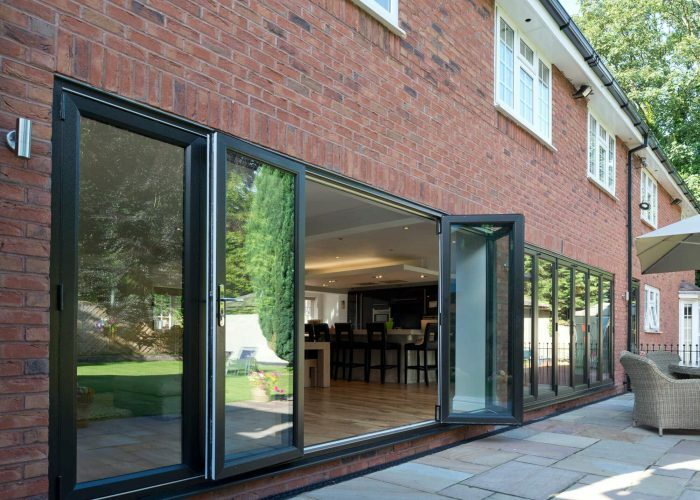 A great alternative to traditional sliding doors, aluminium bi-fold doors allows you to open up your home, providing impressive opening apertures that can unite internal and external areas. 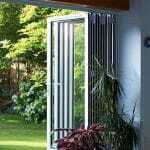 Our bi-foliding doors offer a choice of opening configurations to suit any application. Choose to fold the sashes internally or externally, place the opening at the side so the sashes all fold one way, at one end, to create a single entrance door for easy access, or in the middle to give the option of a double door. Creating unique living and social areas, fold the panels away on warm sunny days to sleekly combine your home with your garden. 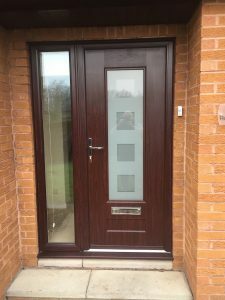 Fitted with the best locking system available, there’s no need to worry about the security of your home. As they’re highly energy-efficient, you won’t need to worry about your heating bills either during those cold winter months. 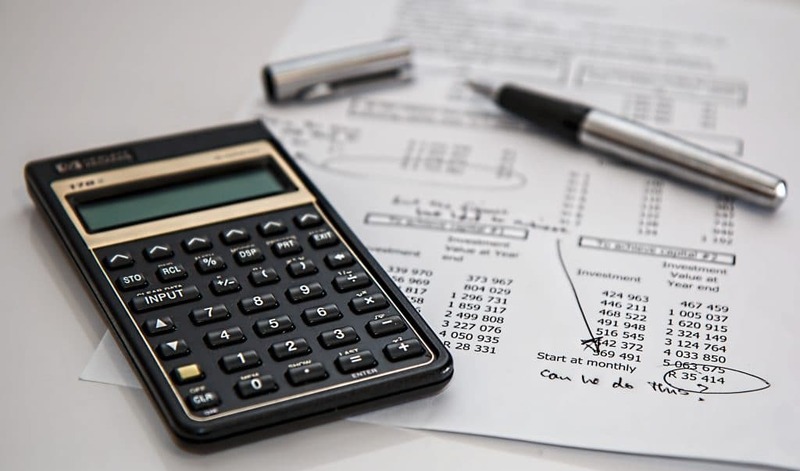 As all products are acquired at trade prices and are made to measure which reduces wastage to the absolute minimum, we can provide the most competitive pricing. 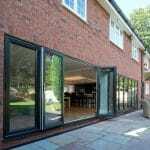 Get an estimate for fully fitted bi-folding doors right now with our online cost estimator. Our helpful staff are on standby to guide you through the entire process. 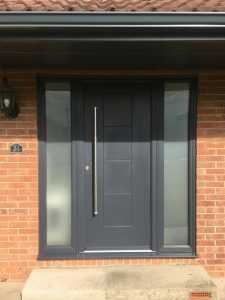 Arrange a free survey today and we’ll assess your requirements then suggest the best exterior door for your needs. CSM are fully accredited and one of the highest rated property maintenance companies in the North East. Our pride is customer satisfaction and we aim to deliver outstanding excellence from the very first contact. CSM offer a wide range of property development services including the supply and fitting of aluminium bi-folding doors at great prices. 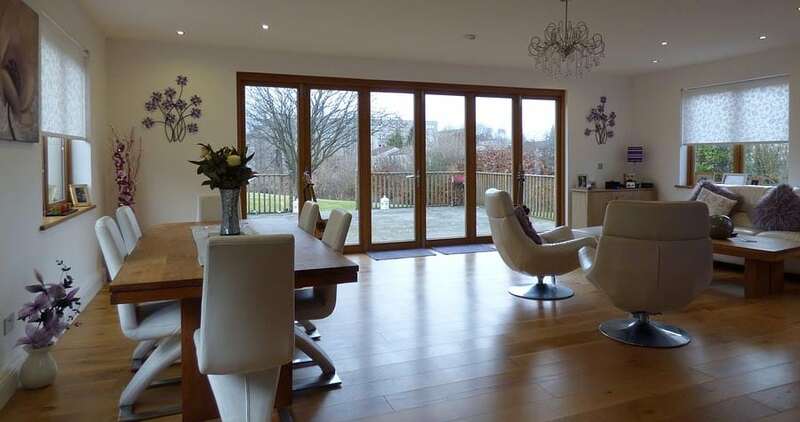 Whether you’re looking for fully fitted bi-folding doors, you’re interested to know more about our property maintenance services or you’re just not sure what you need; contact us today for free and helpful advice. 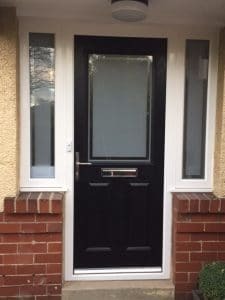 We get trade prices on all exterior doors and pass the savings onto you.